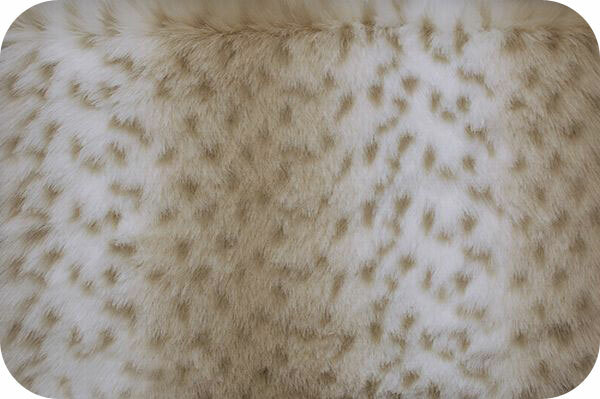 This is a really nice fur with a background that alternates in stripes from a creamy white to tan and back again. On top of this background are the leopard spots in a taupe. This is one of the more understated animal print fake furs.